Attorney Paul W. Routt is a practitioner located in the Seattle/Eastside area in King County, Washington. 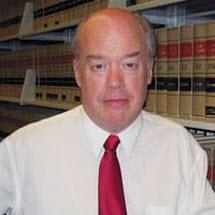 He handles criminal and civil cases in King County as well as surrounding counties in both state and federal courts. Evening and weekend appointments are available. Your first half hour consultation is free. Mr. Routt will be in contact with you within 24 hours of your call or email. He knows that any legal problem is a very serious concern to you and that time is often of the essence. He will listen to your situation, assess what you need to have done, and help you get it resolved. Your first half-hour consultation is free. Mr. Routt cares about helping you get back on track and accomplish your legal goals and needs. All of this is done with the proper degrees of aggression, discretion, and ethics. Mr. Routt knows that you want an attorney who will take on your case and get it handled as soon as possible in the best possible manner. He also knows that you want to protect your privacy, so all means possible will be taken to do so. This means that you will be able to speak confidentially with him so that your case can be handled in the best way. Paul W. Routt earned his J.D. at Seattle University School of Law. Mr. Routt earned an M.B.A. from the University of Puget Sound, and a B.A. from Seattle University. He is a member of the Washington State Bar Association and the East King County Bar Association. He is also a member of the National College for DUI Defense. Got a legal question? Give him a call. He cares enough to listen and help. Your first half hour consultation is free. Evening and weekend appointments are available.